Learning you’re a high-risk merchant can be a growth opportunity. Many merchants who never considered themselves high-risk businesses are shocked to suddenly learn their bank has deemed them a credit risk. How could that happen? What does the rating mean for their business? Consider the case of Michelle. She has a thriving online retail business. Her one-year-old company had been doing well. Until her bank classified her as a high-risk merchant and closed her credit card processing account. The potential effect on her business was profound. Credit card sales accounted for a large portion of her daily sales. Without a way to accept and process those charges her revenue was going to plummet. But here’s how she turned bad news into a surprising way to take her business to a new level. To understand what happened to Michelle, first we need to understand exactly what a high-risk merchant account is. 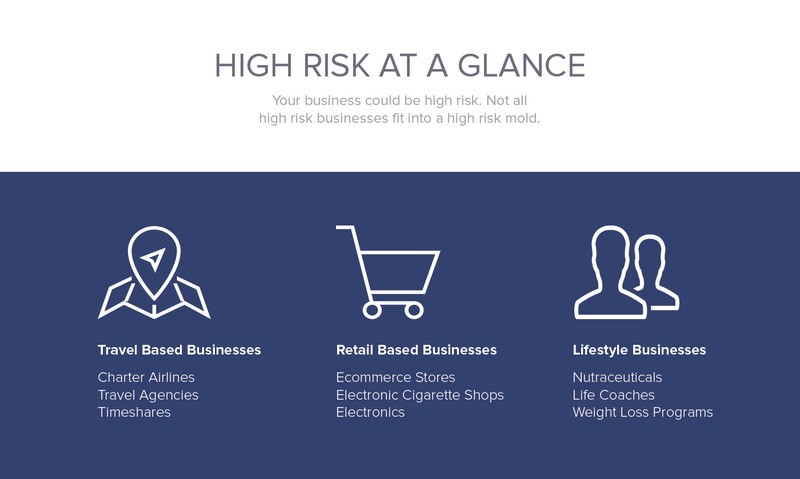 Obvious examples of high-risk merchants include those in industries like medical marijuana, on-line gambling, or telemarketing. But there are some surprising businesses that fall into the high-risk category. Retail. Travel agents. Life coaches. It’s not always easy to see why one merchant is fine and another is deemed high-risk, like Michelle. Generally speaking, the company handling your credit card processing is liable for the risk inherent in your payments. You may be running a successful business—and have the transactional history to prove it. But if the processor believes your business puts them at risk, they won’t want you as a client. • industry has a poor reputation or is not legal in all jurisdictions. Unfortunately for Michelle, she ran an online business. 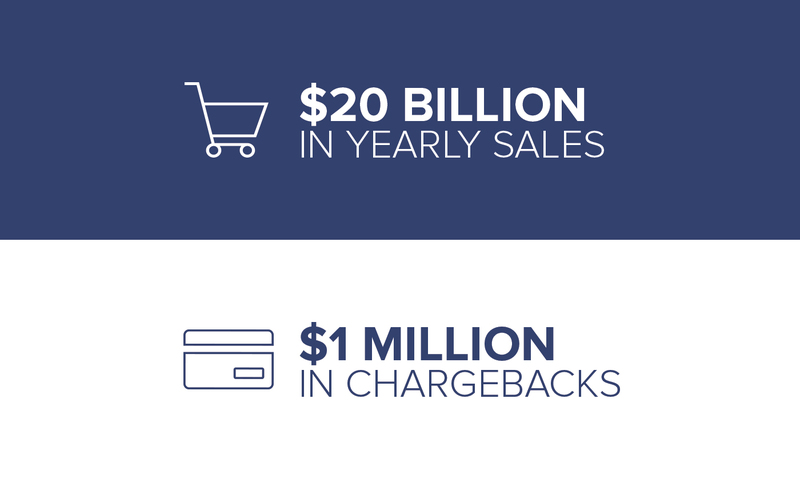 And when she saw a higher than normal volume of chargebacks, red flags went up. After she got over the initial shock, Michelle pushed ahead to find a solution. She found a suitable high-risk credit card processing company that allowed her to continue accepting credit card payments. And that decision started a chain of events which dramatically increased the size of her business over the course of the next year. What she discovered was that good high-risk processing firms don’t just offer credit card services. They understand the unique nature of high-risk businesses. They offer products targeted at helping those merchants overcome risk, and even grow. Good high-risk merchant accounts have several key components. They can provided credit card and check processing capability to almost any merchant. They are easy to set-up quickly. They pay promptly. And they offer a suite of services to increase security—reducing incidences of fraud and identity theft. 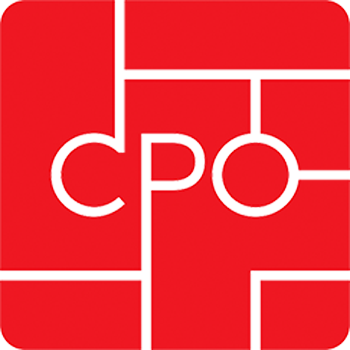 Often these companies will also provide POS solutions, payment gateways and check processing services. But, as Michelle found, great high-risk vendors can do much more for a high-risk business. One of the issues that had contributed to Michelle’s high-risk label was chargebacks. Many of her online customers signed up to make monthly payments on their credit cards. The recurring revenue was great—but also presented a problem. Too many charges were contested. Sometimes customers forgot they gave a credit card number for ongoing charges. When the charge appeared on their bill they questioned it. The biggest issue was that in most cases she was never notified that a charge was being questioned. That meant she couldn’t do anything to investigate or correct the situation before the charge was reversed. But Michelle’s high-risk credit card processor offered a chargeback shielding service. They informed her when customers disputed charges. Now she could evaluate each situation and take steps to resolve it before she was charged large fees. That made a huge difference in her bottom-line. Michelle also planned to expand her business. But she needed access to capital to do so. As a high-risk merchant Michelle didn’t qualify for a commercial loan from her bank. But she found that her credit card processor provided cash advances based on her history of credit card sales. The repayment of the advance would be based on a percentage of credit card sales. Which was great for Michelle because the payments varied with her revenue. She wouldn’t have large fixed loan payments in months when sales were down. With the merchant cash advance she bought new inventory and expanded her product offering. The new line took off. Within a few months she saw her revenue climb significantly. While Michelle was surprised to learn she was classified as a high-risk business, the credit-card processing solution she switched to turned out to be a boon for her business. As she found, not only can a high-risk credit card processor ensure that you are still able to take payment from your customers, they can be an engine of growth for your firm. Is Krogers Decision to Stop Accepting Visa Credit Cards Right for Customers?